The Stratford Chefs School is built on a unique entrepreneurial business model that has helped the School set the standard for excellence in culinary training. The Stratford Chefs School develops Canadian chefs through a uniquely industry-driven program. It provides students with a thorough grounding in the theory and practice of classical cuisines as well as the business knowledge for operating successful restaurants in today’s market. Between October and March each year, students rotate through kitchen positions to produce new menus daily under the tutelage of the School’s faculty, consistently producing dishes of high quality. 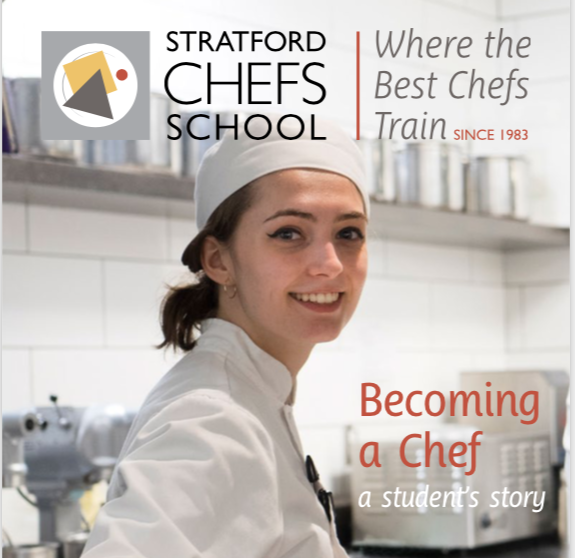 The Stratford Chefs School is one of Canada’s most successful culinary institutions, a school that continually evolves to meet the needs of its students and the culinary sector. Our students strive daily for perfection in their studies. Please see our ‘Becoming A Chef‘ brochure and contact us for additional information about our culinary program – we’d be happy to hear from you. 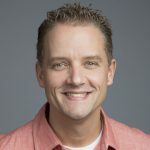 My name is Bob Friesen and I’m the Admissions Officer for the Stratford Chefs School. 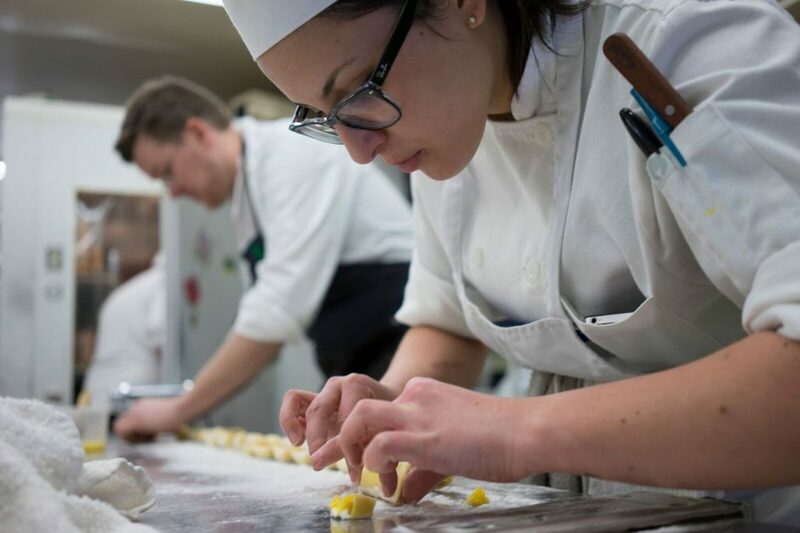 We offer a two-year culinary apprenticeship program in Stratford, Ontario, where we invite world-renowned chefs to train with our students. I’d like to schedule a visit to your school this year to share a short presentation with you about our culinary program. Alternatively, if you would like to visit Stratford and see our new facilities, we’d love to offer you a tour and presentation about who we are and what we do. I’m also very interested in participating at your next career/job fair. If you’re hosting such an event (or something similar) at your school or in your area, please share my contact information with your coordinator(s). Contact me at bfriesen@stratfordchef.com and let me know a possible date when I can visit your school or schedule a group tour here in Stratford. Applications now available for Fall 2019 start. Train with us!